Not much personal information from Dutch life in Bengal or any other of Dutch settlements in India can be found in the VOC archives in the State Archives. The reason for that is that the VOC correspondence only covered official and business information written by VOC employees and shared with the local head office and the central office in The Netherlands, The VOC also censored all letters. An exception can be made for Jan Albert Sichterman (1692-1764), who spent nearly 15 years in Bengal. In 1742 he used his own money to build a church tower near the river in Chinsurah. Under his management the VOC post was fortified against the Marathas, native rebels, whose attacks intensified after 1740, and in 1742 it was given the name Fort Gustavus, after Governor-General Gustaaf Willem Baron van Imhoff. Van Imhoff was a cousin of Sichterman’s wife. That we know a bit more about his and his family’s life is due to a personal history dug up by a descendent in the Sichterman family. Wiet Kühne-van Diggelen grew up in Groningen with in the living room of her parents a portrait of Jan Albert Sichterman left of the fireplace and his wife Sibylla Volkerak Sadelijn’s portrait on the right. These were portrait paintings from 1755 by C.K. Haverkamp. Wiet’s grand-dad had an old VOC shipping chest full of family papers from the early 18thcentury, marriage contracts, wills, inventories, doctor diplomas, dissertations in Latin, political pamphlets, student poem at promotion and marriages and so on. 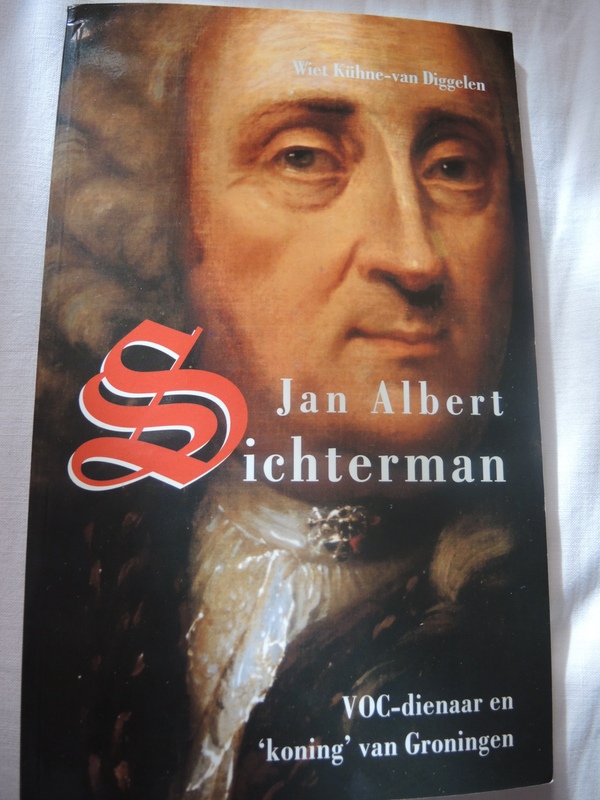 It also carried many letters, including some written by Jan Albert Sichterman from Bengal, from the years around 1740 when he was Director of the VOC settlement there. Wiet wrote the book in Dutch. For my research for the Indian speciliasts working on the revamp of the Dutch heritage in Chinsurah I summarized her book about Jan Sichterman in this Nearly 15 years in Bengal PDF file.